Diane R. Chace is a partner in the firm practicing in the areas of criminal and motor vehicle defense, divorce and family matters, estates and probate, workers’ compensation and civil litigation. Attorney Chace is trained in both collaborative divorce and mediation and also represents clients in litigated matters. 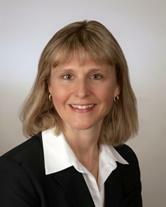 She received a BA with honors from Providence College in 1989 and a J.D. from George Washington University Law School in 1992. She was admitted to the Connecticut Bar in 1992 and the United States District Court Bar in 1995. She is a member of the Connecticut Bar Association, the Connecticut Criminal Defense Lawyers Association, the Central Connecticut Collaborative Family Law Group and the International Academy of Collaborative Professionals. Attorney Chace currently chairs the Board of Directors for the Hospital for Special Care and is a member of the board of the HSC Foundation. She is past chair of Community Mental Health Affiliates and the YWCA of New Britain, and past president of the New Britain Bar Association.